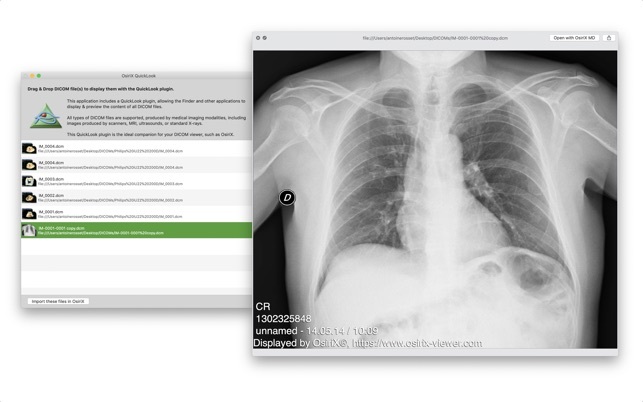 DICOM QuickLook by OsiriX is a simple application that can display any DICOM files. Did you pass a CT (scanner) exam or a MRI (magnetic resonance) exam recently? All these equipments produce images in DICOM format. 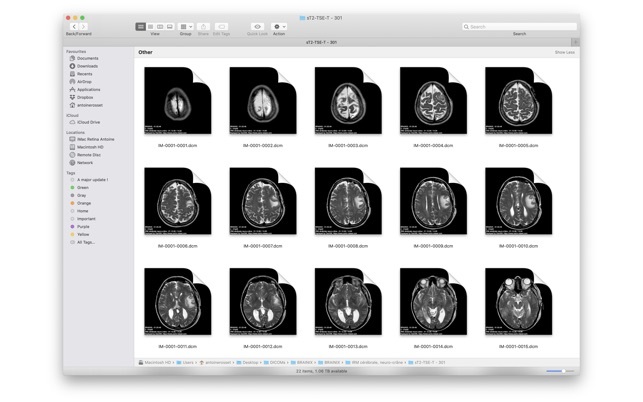 A DICOM file is similar to a JPEG file, but with specifications for medical imaging. That means that a file of a chest x-ray image, for example, actually contains the patient name and patient ID within the file, so that the image can never be separated from this information by mistake. This is similar to the way that image formats such as JPEG can also have embedded tags to identify and otherwise describe the image. You can ask your doctor or the imaging center to provide you a CD/DVD or a USB stick with the images, in DICOM format. 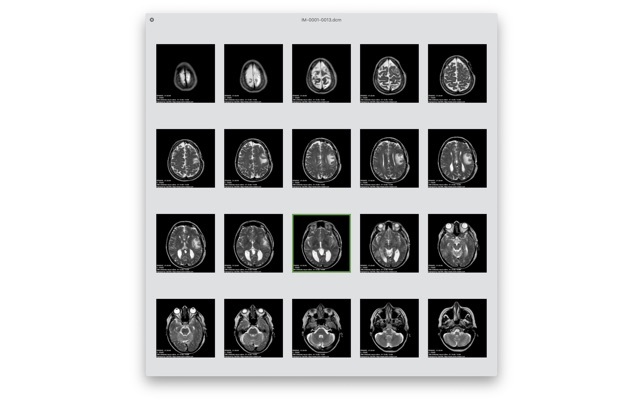 This small application with the QuickLook plugin is the ideal companion for your DICOM viewer application. 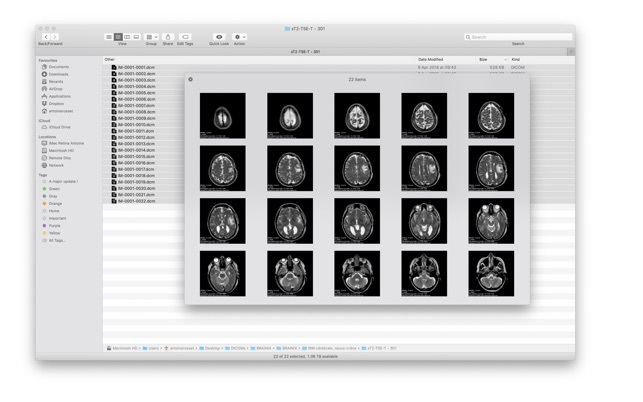 OsiriX, a complete DICOM viewer application, is available on our web site: https://www.osirix-viewer.com. OsiriX MD is certified as a Class II medical device, by the FDA and European Union. Das Programm stellt die Röntgenbilder komplett so falsch dar, dass man überhaupt nichts erkennt! Dafür auch noch Geld zu verlangen ist unverschämt!! It could be related to a corrupted DICOM files. Please send us this file to pixmeo@pixmeo.com, we will check.